August Edition: What Future for the Cause of Life? ...promoting positive-minded patriotism and faith-filled focus! Bobby Schindler is the host of "America's Lifeline" heard Saturdays on WGUL in Tampa and online through their web site. He is the brother of Terri Schiavo and has been working with the Terri Schindler Schiavo Foundation, Center for Health Care Ethics in St. Petersburg, Fla.
Unite the USA is saddened by the death of Terri Schiavo's father, Robert Schindler. We offer our sincere condolences to the Schindler family. Robert Schindler passed away on Saturday, August 29, 2009 due to heart failure. He was a remarkable activist for the cause of life and he made a great impact in our country. Read the "How to Help" section below provided by the Terri Schiavo Foundation. It is important that people understand their state laws as they relate to the withdrawal of ordinary provisions. Many laws have changed or have been amended in recent years and your current advanced directive (or lack of one) might be dangerous under the new laws. We strongly urge all people to carefully read current state laws and to secure legal advice when considering them. We also encourage people to take proactive measures to ensure that their desires for ordinary care be observed. Considering a health care surrogate, a Protective Medical Decisions Directive along with a Will to Live Directive may be an excellent alternative to the traditional living will. Through the internet, public awareness efforts and advocacy for the disabled and elderly, community involvement has a direct and positive impact. Becoming a volunteer is a good way to start. Throughout Terri's ordeal and her family's attempts to protect her life, many people from across the nation and around the globe offered their help, kindness and friendship. For this, we can never fully express our gratitude. Since that time, people have contacted us, wanting to keep up the work Terri's Foundation established by helping to educate others, becoming involved in the legislative process, offering legal resources and social resources to support families in similar situations and patients victimized by care rationing. One of the primary goals of Terri's Foundation is to build a network of attorneys and doctors dedicated in protecting the rights of vulnerable, disabled and elderly persons through activism and public awareness. If you are an attorney or in the medical profession and would like to join us, please tell us a little about yourself. One of our site volunteers will be in touch with you as soon as possible. Your information will be kept confidential. By making a donation to the Terri Schindler Schiavo Foundation you are helping persons with disabilities, and the incapacitated who are in or potentially facing life-threatening situations. Thank you for enabling us to speak for those who cannot speak for themselves. Our prayers and sympathy extends to our friend, Bobby Schindler, as he mourns the death of his beloved father, Robert Schindler, who died yesterday. 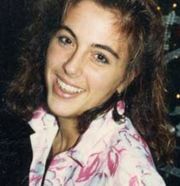 He is with his daughter, Terri Schiavo, in Heaven. Bad things are happening, and we must not play Pilate's game of people-pleasing verbiage: "What is truth?" escaped Pilate's lips. Pilate mused and ignored the truth standing before him: Jesus Christ Himself. Pilate found this question, very popular at the time, to be an excellent philosophical scapegoat. With a dance of distracting verbiage, he maintained popularity with the people while aborting the life of the life-Giver. During the healthcare debate, let us not follow Pilate's example of all talk and no walk. Silly arguments and rationalization occur too often. In a swirl of debate, the basics often wind up on the backburner. Simply stated, nationalized healthcare historically proves itself anti-life. So, today, let's get back to basics: Life comes directly from God. Life needs protection. Jesus desires us to love all life and protect the defenseless. In this edition, we feature an article by Terri Schiavo's brother, Bobby Schindler, for whom we've sung and with whom we've prayed. We offer special thanks to Bobby Schindler for contributing this month's feature article, What Future for the Cause of Life? Tragically, America possesses a huge fault line: she lives not as a pro-life nation. An earthquake approaches that will blow the moral Richter scale. The only way to prevent such disaster is to pray and obey God regarding life. We must rise up and protect the sanctity of life. Let us strive to one day become a nation that is pro-life and whole-life. For now, we must fight against nationalized healthcare from coming to our country. Thank you for your support and patriotism. God help us as we help the defenseless! Spread the word about the Word while you can. With God, there exists hope! Use the sobering facts to increase your passion for love and life! On November 4, 2008 our nation elected a man who many fear is the most pro "culture of death" politician ever to run for president. Not only has President Obama made it clear that he supports abortion through all nine months of a woman's pregnancy (including partial birth abortion) but as an Illinois state senator, Obama didn't feel the need to pass legislation protecting babies who were born alive after a failed abortion attempt. And my family will never forget the insensitive remark he made during his campaign when he said that his biggest political regret-so far-was his decision to support efforts to protect my sister Terri Schiavo's life. But why should we be surprised? Over the past three decades look at what has come to pass: Tens of millions of abortions have had a devastating effect on our public morality. An estimated 90 percent of unborn children diagnosed in utero with possible Down syndrome are subjected to eugenic abortion. Conscious and unconscious people with catastrophic cognitive impairments are routinely denied tube-supplied food and water, causing them to slowly dehydrate to death. Texas permits hospital bioethics committees to refuse wanted and life-sustaining treatment (futile care policies) based on doctors' subjective views of the "quality" of their lives. Physician-assisted suicide is now legal in two states with more likely to follow. It is only slight hyperbole to worry that the way things are going, it won't be long before we don't have anyone left to kill. Yet in the face of this mounting toll, too many of us seem indifferent. Why is this? I sense a growing disconnectedness from each other. One sign of this is the growing nihilism that has many of us turning away from the central importance of human life. As a consequence, a growing number of us are looking elsewhere for ultimate value. I recently had a discussion with a close "Catholic" friend of mine about his decision to vote for President Obama. He told me that he basically considered the environment on the same moral playing field as human life and believed that Obama is going to be an advocate for the future of the environment. If that scares you, as it did me, all you have to do is look at what just happened in Ecuador. Bioethicist Wesley J. Smith recently published an article in The Weekly Standard in which he explains that Ecuador has included the rights of "nature" as the highest law of the land-equal with the rights of human beings in their country's new constitution. Another symptom of our dangerous disconnectedness is the increasing crassness of our popular culture. Certainly all one has to do to verify this is turn on the television and watch the garbage on MTV for a few minutes, consider the myriad of adult magazines lining our book store shelves and the pornographic sites so easily accessible on the Internet, or take stock of the movies coming out of Hollywood. Add to the above the multitudes of video games, TV shows and movies-many marketed directly at our youth-glorifying death and murder. It is these types of secular mediums that have essentially become our surrogate parents, teaching our children everything that is immoral and destructive in our culture. Where is the embrace of charity and love for our fellow humans? Moreover, because of a very influential and liberal mainstream media, those that believe all life has value and dignity-"pro-lifers" are portrayed as being "out of touch," "intolerant" or part of a narrow-minded and fanatical "religious right." All this disdain towards people who simply believe what our Founding Fathers believed-that as Jefferson stated in the Declaration of Independence, the right to life is "inalienable." Surely this means that the government has a duty to protect our most vulnerable citizens against termination. So now we are being told by this same secular media that-for the good of the country-we must all try and "get along" with our new president-elect. I agree. But he has to get along with us, too. For example, if he wants to increase comity, he needs to rethink his promise to support the Freedom of Choice Act-a piece of legislation that would obliterate all measures to put reasonable limits on abortion. And any national health care proposal needs to explicitly protect the disabled, elderly and seriously ill against discrimination in the provision of medical services. The Obama presidency presents an opportunity for us to turn a page and reunite as a people. But it cannot be at the expense of the lives of those least able to protect themselves.